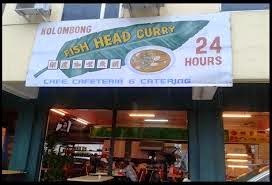 Newly opened in Likas, Kolombong Fish Head Curry Cafe attracted huge crowds daily especially during the night. 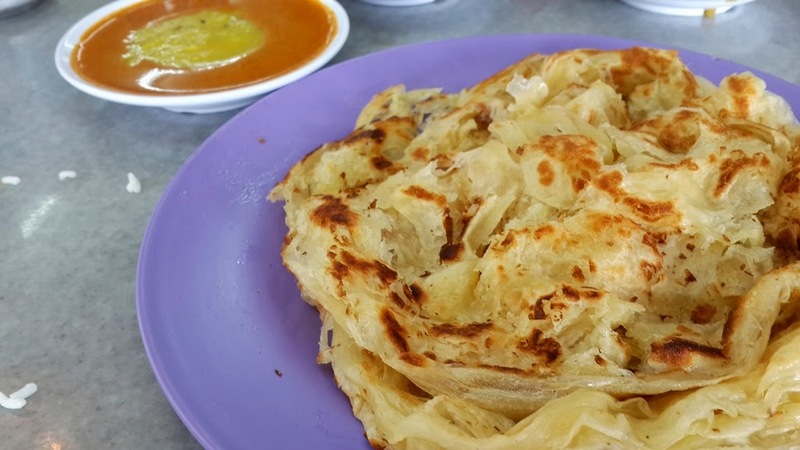 From Roti Canai, Mee Goreng, Maggi Goreng to assorted types of curry, you can find varieties of Mamak's food available at a reasonably cheap price. 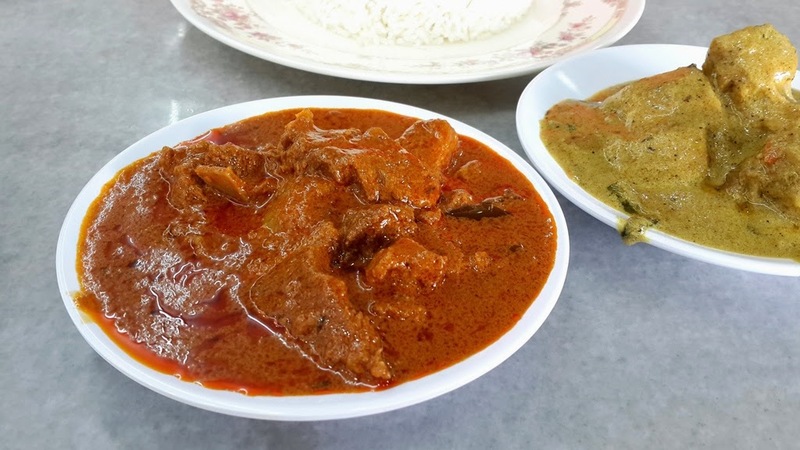 Enriched with delicious spices, the Curry Mutton was rich and spicy. 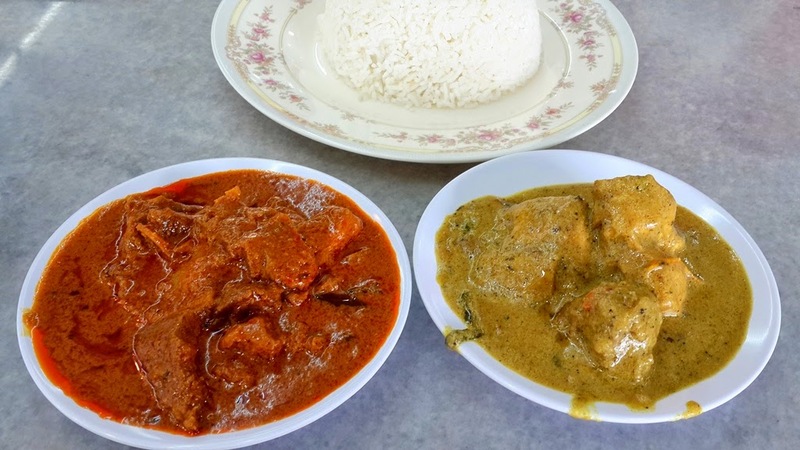 The mutton was well-cooked, tender and juicy while doesn't tasted gamey at all. 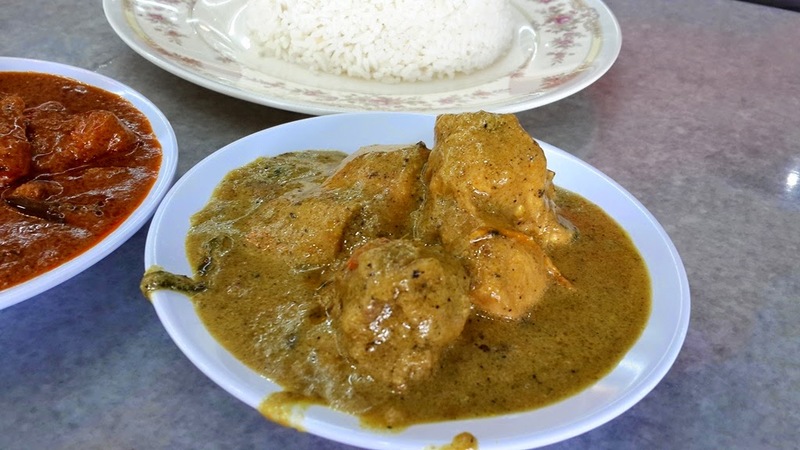 Rich and creamy, the savoury-sweet and mild spicy Kurma Chicken was another delicious dish to go with rice. 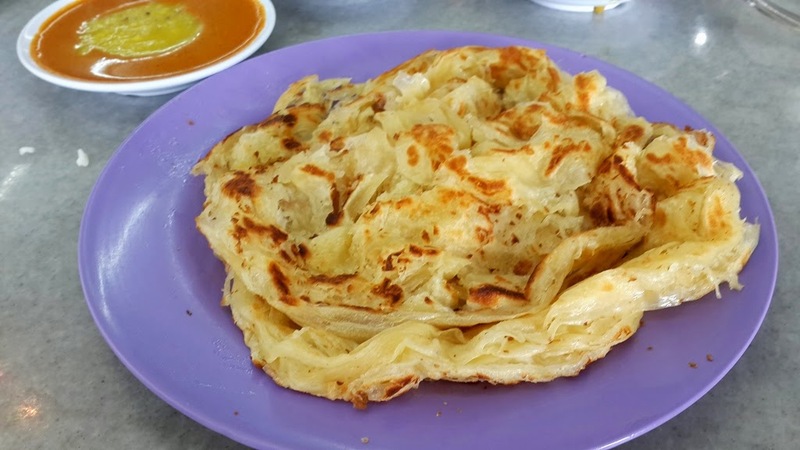 Infused with spices, its taste will keep you wanting for more after each bite. 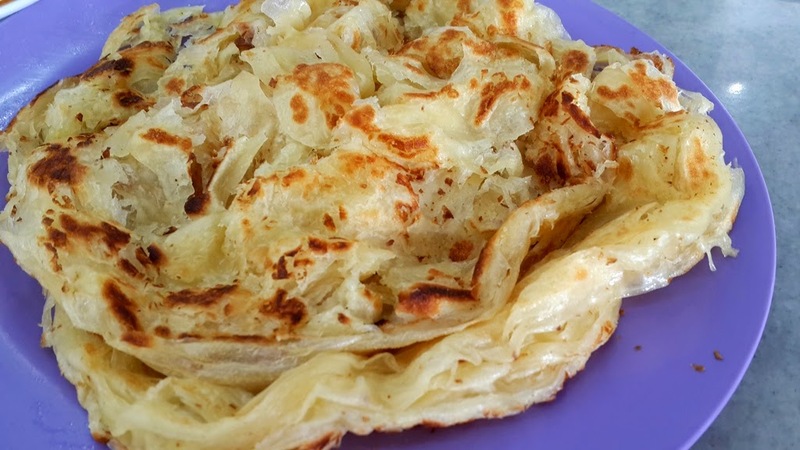 Fluffy and crispy Roti Canai always goes well with curry and dhall sauce.